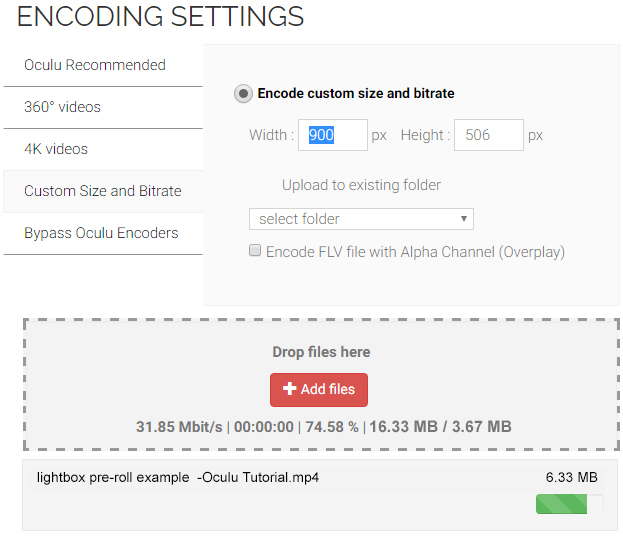 In this tutorial we will cover creating custom pixel size video clips as well as customizing the bit rate. Once encoded, your status will change to “Propagating”. Oculu is now sending your file to our cloud network. 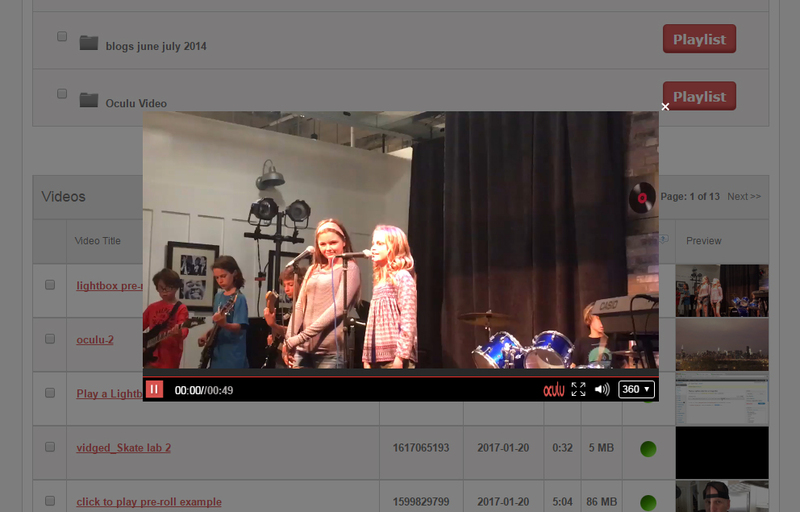 When your file has been propagated, the status will change to a thumbnail image of your video. 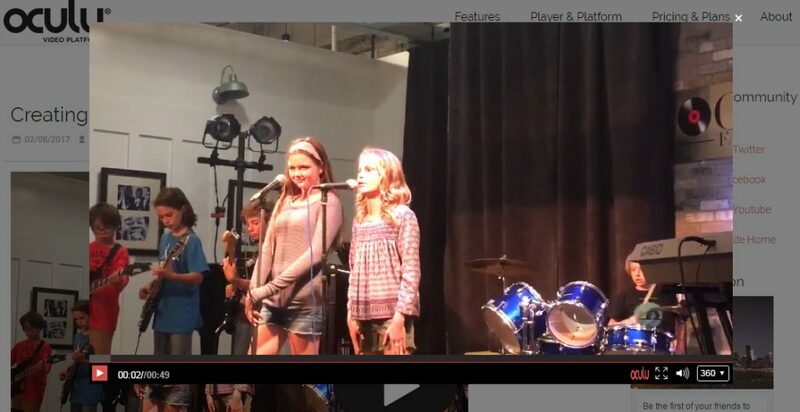 Now, you have a video clip that you want to deliver as lightbox video and you want it larger than 640 x 360 and you also want to increase the bit rate to improve the quality. I’ll go through an example here. So I’ve got a video clip that is 1280 x 720 but I’ve decided I want to make this smaller, but proportional, and for a lightbox insertion on a site. The size I’ve settled on is 900 x 506. The first thing I need to do is use quick time pro in this case. I’m going to resize this MP4 format at a bit rate of 2 mega bit and the audio at 96 k stereo. Choose a path and hit save. 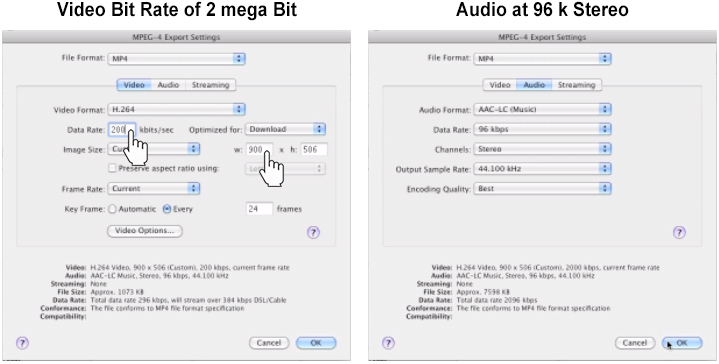 Now, I have a 900 x 506 video clip at 2 megabit and replace with the old video file. Go to the videos tab, choose the desired video title and click on it. Scroll down to Replace Video Button and click on it. 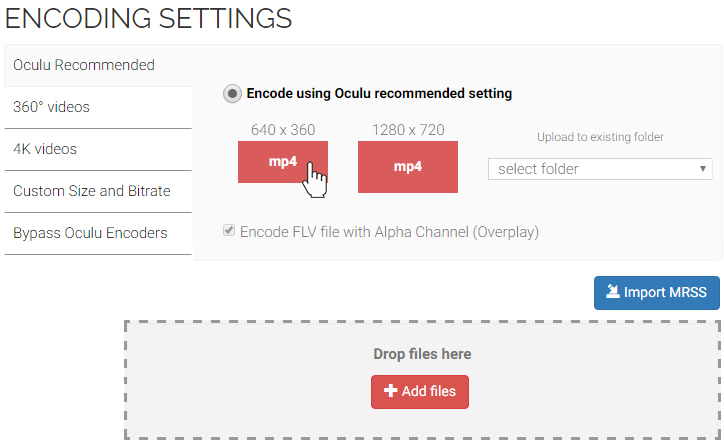 Again“Encoding Settings” will be open and choose the Custom Size and Bitrate Tab where they can change video player size as per their desire and upload your new file. That file is uploaded. It does take 15 to 30 minutes to propogate the file out to the multiple cloud networks in which the Oculu platform resides, so be patient. Now I’m going to go back to the videos tab and my title is available for playback and we’ll preview right here. You can see here within the platform the video is displaying at our default size of 640 x 360 even though this encoded MP4 is 900 x 506. The next step is to choose the desired video title, scroll down to Lightbox Video, get the code, copy the load script, insert it into your Web page, copy the DIV code and paste it into your Web page as well. 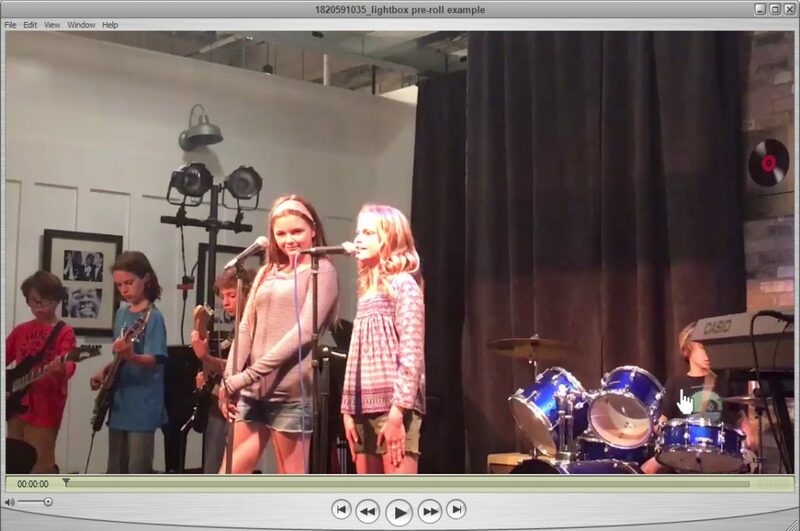 Using the default settings you can see again my video is playing on my page at 640 x 360. The last step is to go back into your page and fix the div line size dimensions. Change the width and height to correspond to the size of the video file which was uploaded, in this case, 900 x 506. Update. Reload the page. Here is our finished page. In this case since we only uploaded to the default size, there is no HD option. In an application like this, generally you’ll want to lightbox video one size on the page, and it’s larger than the default so you may or may not want to have a 720 b option for the user to switch to.